Welcome to the Crane Lane Theatre! Located in the heart of Cork City, The Crane Lane has established itself as an institution and an exceptionally versatile live music venue. 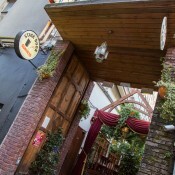 Since opening its doors in the 1920’s, this old Lady has transformed from a gentlemen’s club into a unique three style venue – part country pub, part ballroom and part burlesque cabaret, featuring one of the most favoured beer gardens in Cork City centre. A stunning example of 1920’s art deco architecture, it was built on the premise that if singer-songwriter Tom Waits was a citizen of Cork and opened a late night bar and music venue, it would look just like The Crane Lane. Filled with charm and elegance, the Crane has established itself as a major cultural venue in Cork City, attracting a multicultural mix of tourists, backpackers and those seeking adventure. The interior consists of traditional materials, classic furniture pieces and quirky touches. Together they subtly showcase the best of Victorian style and make drinking here a true pleasure – a memorable indulgence in true opulence and elegance. 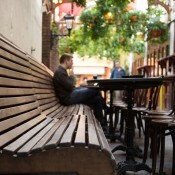 The beer garden or courtyard is the signature feature of the Crane Lane, and is one of the things that makes the venue great. It gives you the rare opportunity to mix with a variety of people from different cultures, where the breadth and variety of conversations to be had is one of those unique experiences that very few places in Ireland can offer. 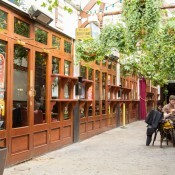 A new added addition to the garden is Arthur Maynes Pharmacy, which conjoins via the smoking garden and is regarded by many to be the best wine bar in Cork. 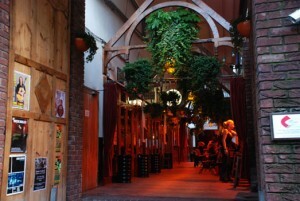 An interesting fact also about the courtyard is it’s the only venue in Cork where you can walk into and walk out of with a cigarette in hand – a fun experience indeed for any smoker. 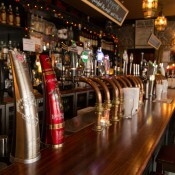 By day, the stage door bar is one of the preferred spots for Cork’s stout drinker. The bar possesses a unique charm and soothing atmosphere that makes it the perfect venue for gentlemen to unwind and relax. 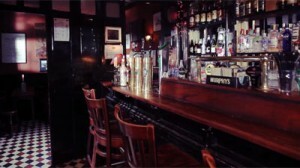 We suggest you pull up a chair, order a pint of ‘plain’ (i.e. Guinness) and enjoy your favourite broadsheet or paper. 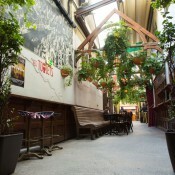 Or, on a sunny day, take it outside to our courtyard. sophisticate chilling at the table top bar. It also plays the role as the feeder bar for those dining in the courtyard, as it’s just stepping distance away. 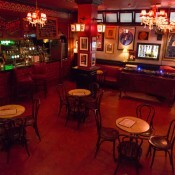 The Crystal Room or Craft Bar has a real mellow and cosy vibe, quite a unique atmosphere that isn’t usually associated with Cork’s nightlife. It has built a reputation as a place where people come to chill out, catch up with friends and have a few drinks, especially midweek where the house DJ’s play an eclectic mix of classic Indie, Rock, Jazz, Swing and Funk. 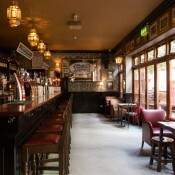 One can also enjoy a range of Cork’s finest Craft Beers brewed from The Rising Sons Brewery and whiskeys at the bar. After ordering your drink take the time to look around. It feels like you have been taken back in time to the 1920’s and 30’s. 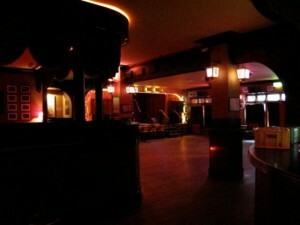 The room has real character and by many is considered the focal point of the venue. The layout of the room itself is simplistic, a large open plan area, with retro seating surrounding its edges. It’s decked out with large murals and posters from wall to wall, and has signature furnishings that add real class and sophistication, such as the vintage turntables and turn of the century light features. 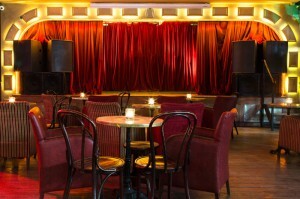 The Theatre has a unique burlesque cabaret type feel to it, and has played host to many of Cork’s most memorable nights. Known as one of Cork’s most versatile venues, it has been the scene for some of the biggest names in Indie music, blues, jazz and rock ‘n’ roll. The stage has seen many an international luminary, theatrical performance and burlesque act, hosted some of Cork’s most iconic events and played host to numerous charity events.